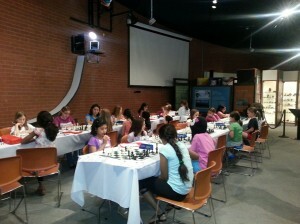 1st Annual Chess & Science Festival and All-Girls Chess Tournament was a huge success! It was held at FLANDRAU SCIENCE CENTER – http://www.flandrau.org/ on April 13th, 2013. 26 girls competed in the All-Girls Tournament and 10 chess players, including CFCA students and parents and Tucson Mayor Jonathan Rothschild participated in the simultaneous exhibition. There were total 3 Prizes in the Open Section of ALL-GIRLS Tournament, 5 in the Reserve Section, with additional 2 Prizes U400 and 2 Prizes U200, and 2 Prizes in the Open Blitz section. 1. ROMY NICOLE BENITO (prefect score 3 out of 3!) – won FREE ENTRY to the International Youth Championship in Las Vegas. 1. KATE NELSON (prefect score 4 out of 4!) – won FREE ENTRY to the International Youth Championship in Las Vegas. Click on links to see pictures published by Arizona Daily Star and those, taken by me and posted on Facebook . There was a TV – KGUN9, that interviewed kids and parents. The video should be out in a few days. 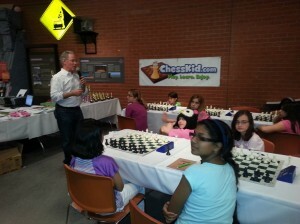 Mayor of Tucson – Jonathan Rothschild, has attended the event, played in the simultaneous exhibition against Brian Belakovsky and addressed participants of the All-Girls Tournament. 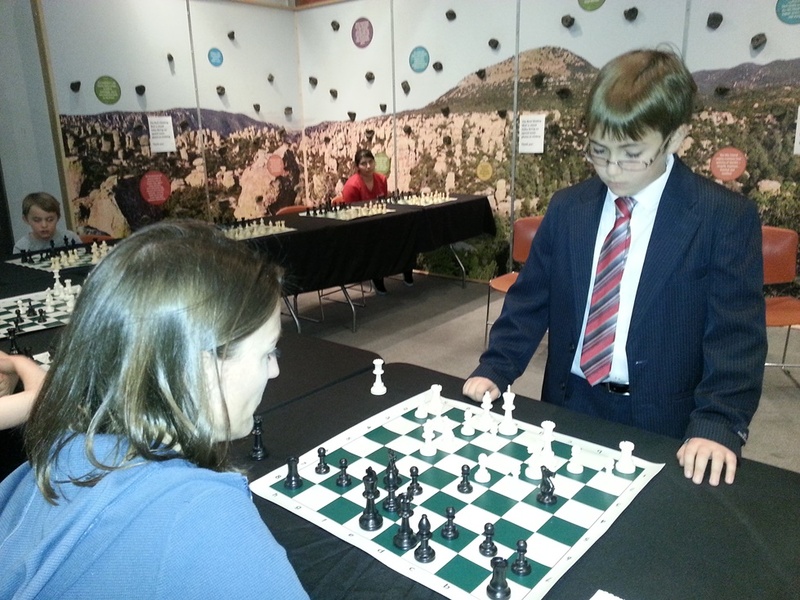 Brian scored fantastic 8.5 out of 10 (8 wins, 1 draw, 1 loss), considering that his rating is 1,339 and many of his opponents were in 800 – 1000 range. 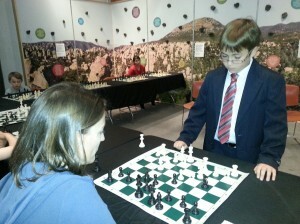 His only defeat came from Chong Ju (USCF 999) and CFCA student Trey Allen (USCF 838) held him to a draw! All kids and parents were fed, due to the generous sponsorship of Math Department, UA (special THANKS to Professor Sergey Cherkis from Math Department!). Every child received a trophy, certificate and a prize! Many parents, kids and visitors watched Brooklyn Castle and participated in various science activities. Department of Astronomy, who was instrumental in getting all the parties together and in setting up Flandrau Planetarium as the venue). We are planning to host this event annually and increase its significance in Tucson life in the years to come, promoting girls’ involvement in Math, Science and Chess activities. Again, we’d like to THANKS YOU to our wonderful sponsors, who made this event possible and hope we will have even more support in the future!